Organize your home or office with Seville Classics' 5-Tier Shelving System. This system is constructed from industrial-strength steel and features UltraZinc plating, which provides the same corrosion resistance and a similar shine to chrome plating. Our shelves have passed NSF certification and are suitable for commercial, home and office environments. 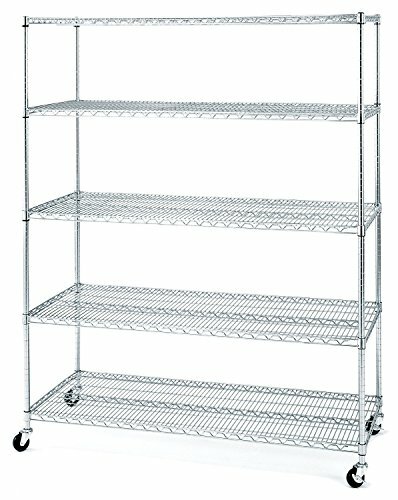 Our professional-grade shelves were built with heavy-duty use in mind and can store up to 600 lbs. per shelf. Roll the unit from room-to-room with the included casters for storage that goes where you do.